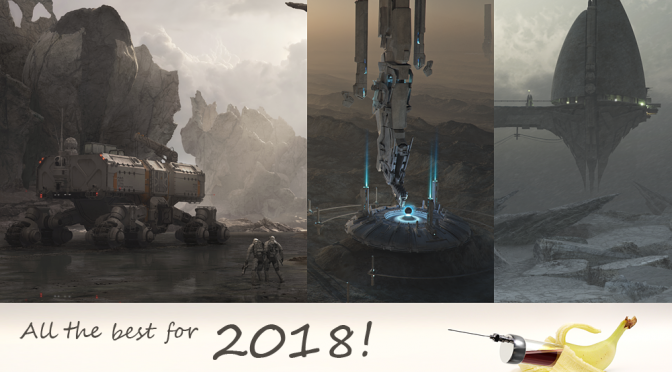 InVitro Banana wishes a happy new year and all the best for 2018! It was an incredible year for me with a bunch of awesome projects and a lot of new friendships. Christian was invited from 3dtotal to answer some questions about his work with Cinema 4D and Vue 🙂 You can find his interview on 3dtotal. All images are created by our artists. All rights reserved. No copying, lending, exhibition, manipulation or misuse in any kind without their written permission!